“How long will this take, and how much is it going to cost me?” This is a question divorce attorneys frequently hear from their clients. Sometimes it is a question regarding an aspect of the divorce – such as a custody modification, or the entire divorce. It is an interesting question. First, there are some basics, most states have a statutorily mandated waiting period – ranging from 6 weeks to 12 months – during which you cannot get divorced. So it will take at least that long; and a lot of law firms charge a minimum non-refundable fee set aside to retain their time for this matter – so it will cost at least that much. Imagine you are working as a maître d’ in a high-end restaurant and a man walks in by himself, and walks up to you and says, “How long will this take, and how much is it going to cost me?” What would you tell him? You might start by asking a few questions of your own, finding out the size of the party; whether it is a special occasion; whether someone else is planning to pay the bill, etc. Here are a few questions written in “restaurant” and translated into “divorce” to give you a feel of how long a divorce might take, and what it might cost. RESTAURANT: How many people are in your party? DIVORCE: Do you have any minor children? ANSWER: The more people – the more the bill is likely to cost. RESTAURANT: Is this a special occasion, such as birthday or anniversary? DIVORCE: Do you foresee a fight about custody or asset distribution? 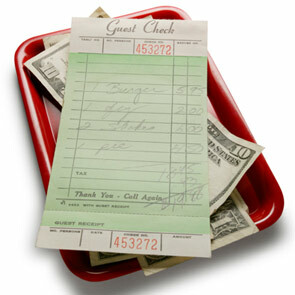 ANSWER: These items will tend to increase the cost of the bill. RESTAURANT: Will you be paying your own way, or is it a gift? DIVORCE: Are you financing this from your own pocket or someone else’s? ANSWER: While it will cost the “patron” nothing, people have a tendency to run higher bills, and take a longer time, when it is not their own money funding it. RESTAURANT: Do you have tickets to a show this evening? DIVORCE: Is either of the parties pregnant, or involved with someone else? ANSWER: Just like theater patrons who need to have a quick bite and get out the door, divorcing parties can find ways to shorten the process if they have already found their next relationship. RESTAURANT: Will anyone be consuming alcohol? DIVORCE: Will anyone be consuming alcohol? ANSWER: Nothing sky-rockets a restaurant bill like a few cocktails, or a bottle of wine. Similarly, nothing makes an already unhappy couple find reasons to fight like letting them drink at the wrong times or in the wrong combinations. Even amicable people seem to pick fights when they have had too much to drink. Every case is different, and each divorce has its own built-in trajectory of how long it is going to take from when the first party knows a divorce is necessary until a judge declares them both single and unmarried. You can affect some, but not all, of the variables. Knowing what to expect, though, can help make the process more palatable. What We Love: Speaking of restaurants – why not start planning your divorce party, to give you something positive to focus on, while the process takes its time. If I could remind my clients of just one thing while they are going through the divorce process, I would say it is this: That is NOT your money that you are handing over to the lawyers. That money belongs to your heirs. That is your kids’ money, and 85 – 90 % of the time, the only reason the clients are spending it is because their bruised egos are making the decisions, not their hearts, and usually not their brains. If I could restructure divorce laws the first thing I would do is put a matching program in place. For every dollar a divorcing adult spends on attorneys, court fees, depositions, and expert witnesses, they have to put a matching dollar in a savings account for their children. That savings account may have to go to child therapists, or special vacations to make up for hurt feelings, or might end up being a college tuition fund, if all goes well. It would accomplish two things: first, it would keep the emphasis where it really belongs in these matters: on the next generation, the only true victims of divorce. And second, it would make the litigants run out of money faster. People really start getting reasonable and finding common ground after all of the money runs out. My question is, if they were going to get to a reasonably hideous compromise anyway, why not do it at the beginning, instead of waiting until there is no more money? One major reason, is that the legal track cannot really get ahead of the emotional track. Until both parties are tired enough of the fighting, it is possible to prolong the process for years. I have seen people have custody battles over a dog, an engagement ring, and – no lie – a weed whacker. If you feel the need to fight, you can. BUT, if you have a reasonable attorney who is trying to get you to the end of the process with as much of your sanity and bank account intact as possible, the million little fights can go away more quickly and easily. Even more so if there are two reasonable attorneys in the matter. It is true that if one party is intent on fighting and wracking-up bills, it is more difficult for the other party to keep the costs de minimis. But, that is not to say it is impossible. Pro se (or self-representing) parties can save a lot in lawyer fees. I would recommend that they have an attorney on retainer for advice & counsel if not for the actual practice so that they know what is true and what is bluffing from opposing counsel. 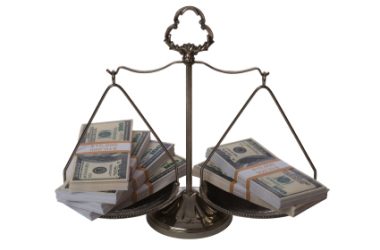 The biggest key to keeping costs low against a litigious attorney is complete transparency. Try to get a list of required and requested discovery as early as possible, either from opposing counsel or your own attorney – and hand over absolutely everything, and keep sending it in as often as new statements come out. The quickest way a litigious attorney can increase lawyer fees is by making unreasonable claims for discovery, and then going to court for non-compliance. Be meticulously, over-zealously compliant. Show everything, and there will be fewer trips to court, and fewer grounds for accusations. What we love:. As long as there is a desire by either party to stay engaged – to keep fighting, if that’s what it takes, the process continues. But, as soon as the emotional issues are resolved, the divorce takes care of itself.